The Organization for Social Cooperation and Development completed a two days Dawra (course) from the 21 to 23rd March 2019 in Lungi Town at the Airport Road Masoila Central Masjid. The Dawra covers the topics, how to Wash, Dress, Pray, and Bury the dead. It benefited sixty one Senior Imams from the Kaffu Bullum Chiefdom in the Port Loko District. The imams are expected to teach their followers when they return to their respective masjids. Especially those that normally take the responsibility to wash, dress, pray and bury the dead. The participants received certificates showing that they have completed the Dawra. 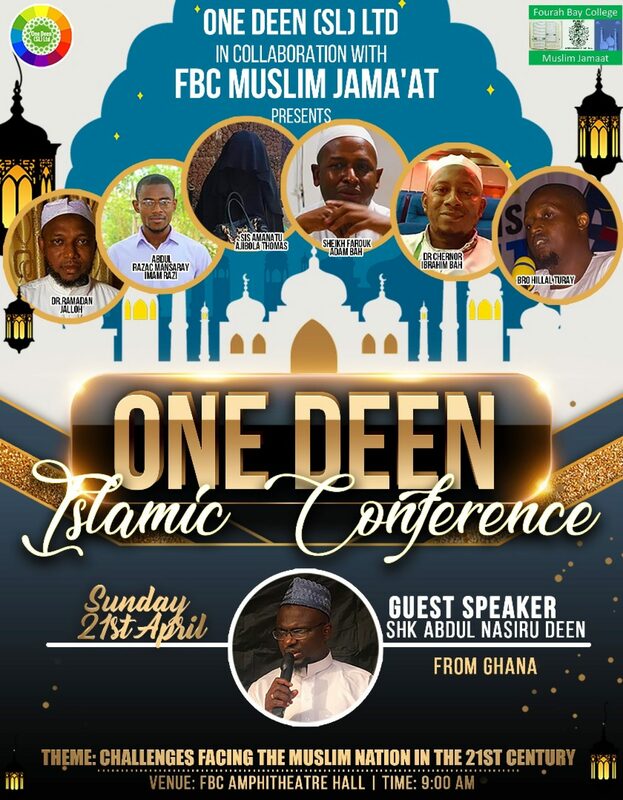 According to Shiek Alie Mohammad Kabba, the Chief Executive Officer, a resident of Portloko and a graduate from The Islamic University of Madinah, he said they decided to conduct this Dawra because those responsible for taking care of the dead have few knowledge over the matter. As a result, there are plenty mistakes and errors when it comes to Islamically dealing with janaaza (corpse). The deputy District chief Imam of Port Loko, Muhammad Nuha Sesay thanks and prayed for the financial sponsor for the program and all those that make the program possible. The sponsor is Damba Nimaga who is living in the United States of America. The program started on the 21st and ends on the 23rd of March, 2019. Booklets were distributed titled Ahkaami Janaaez(The principles of the corpse ) Authored by Abdulai Bun Jaarillahi .Sheik Ali Mohammad Kabba lectures from the booklet till lunch. After lunch, the program continued by performing the practicals on how to wash and cloth the dead according to Islamic principles. On the second and final day, Saturday, Shiek Fomba Abubakar Swaray opened the program by Thanking Allah and reminding the Imams about the incident in New Zealand. Telling them that the incident is a sorrowful one but its also a victory for Islam. He said similar incident took place in the past when slave traders took some Muslims as slaves across the Atlantic thereby planting Muslim missionaries in the Americas. So the attack on the Muslims will only expose Islam to more non-Muslims thereby increasing the Muslim population in that part of the world. The Dawra was very engaging and interactive, mainly because of the practicals. Participants welcomed such initiative and promised to pass the message to their congregations for more rewards from Allah and for hygienic purpose. Shiek Abu Bakarr Fomba Swarray sent a message to all Muslims organizations to emulate such initiatives by concentrating on capacity building for our local imams around the country. The Organization for Social Action and Development is an Islamic Organization base in the Port Loko District, Northern part of Sierra Leone. It has been operating for the past One Year. It is made up of mainly youths with the ambition to change society for the good. Their next project In Sha Allah will be a Dawra for all the Imams of the Chiefdom in preparation for the Month of Ramadan. Previous Post: First Islamic/Modest Clothing Boutique opens in Freetown. Next Post: Mali: 130+ Muslims killed in ethnic attack on Fulani village.